We are here to help you deal with your divorce in the most cost-effective, practical and dignified manner possible. 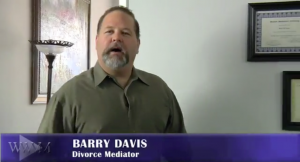 Divorce Mediation — A sensible alternative to an expensive, time-consuming legal battle. Instead of going to court, you and your spouse meet with an impartial, highly-trained divorce mediator who helps you address your issues, generate options and create a mutually acceptable agreement. And, since divorce mediation involves direct communication and is focused on resolution (rather than being adversarial), agreement can often be reached in a matter of months. Your divorce mediation will cost a fraction of the cost of going to court. Your entire divorce mediation process is confidential. You and your spouse make all the decisions and maintain full control over the outcome (no agreement is reached unless both parties agree). Please feel free to browse the above links from our Frequently Asked Questions for more detailed information. Davis Mediation provides divorce mediation, custody mediation and family mediation for clients throughout Greater Los Angeles including Torrance, Long Beach, Palos Verdes, Manhattan Beach, Redondo Beach, Culver City, Hermosa Beach, Westchester, El Segundo, Playa del Rey, Inglewood, Marina Del Rey, Venice, San Pedro and Santa Monica.